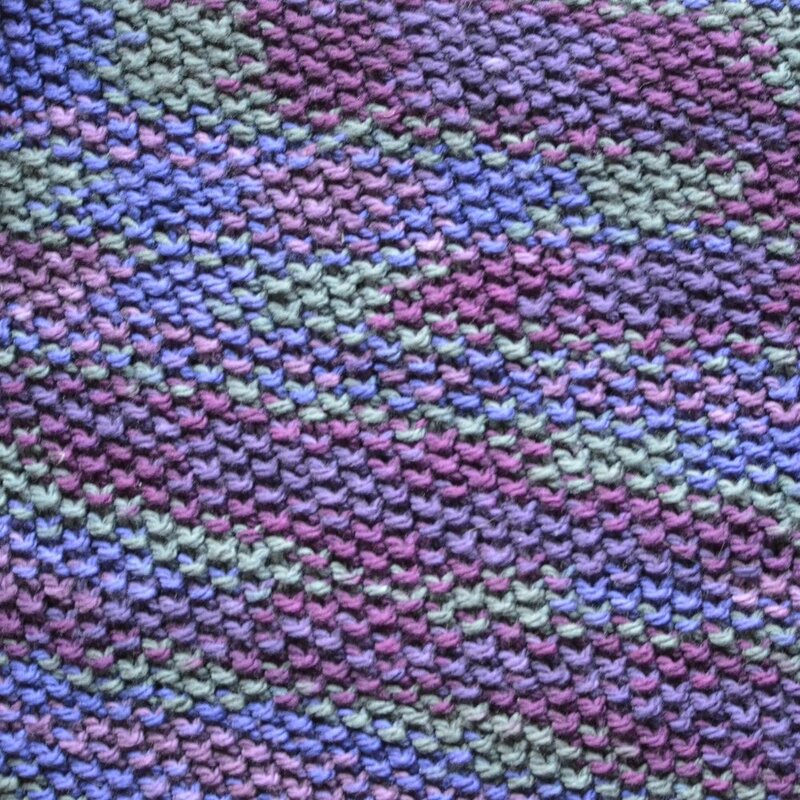 I'm delighted to share the details of this handwoven 8 shaft blanket scarf. This was the first 8 harness project that I wove other than samples. I am happy with how it turned out although next time I will make the fringe larger because I prefer that look. This was a commission for a friend to give to a family member and now I want to make one for myself. A blanket scarf would be the perfect accessory with the prolonged winter that we are experiencing in Seattle. 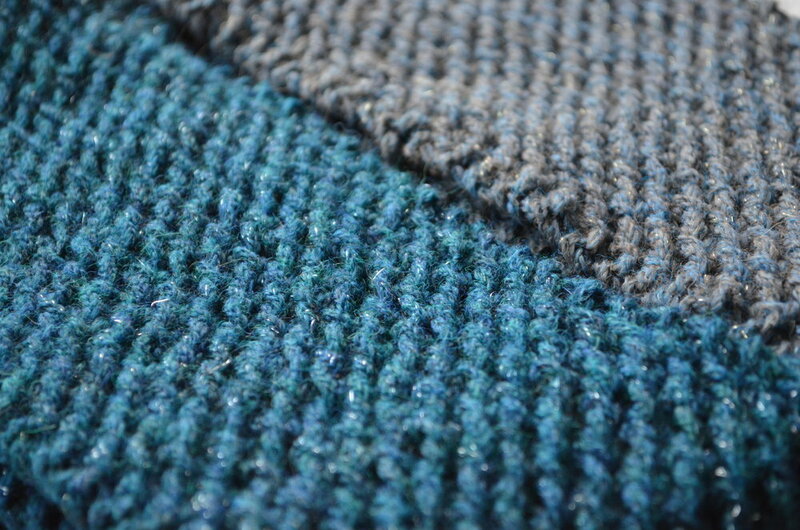 Both the warp and weft are 18/2 JaggerSpun Zephyr, which is 50% wool and 50% silk. 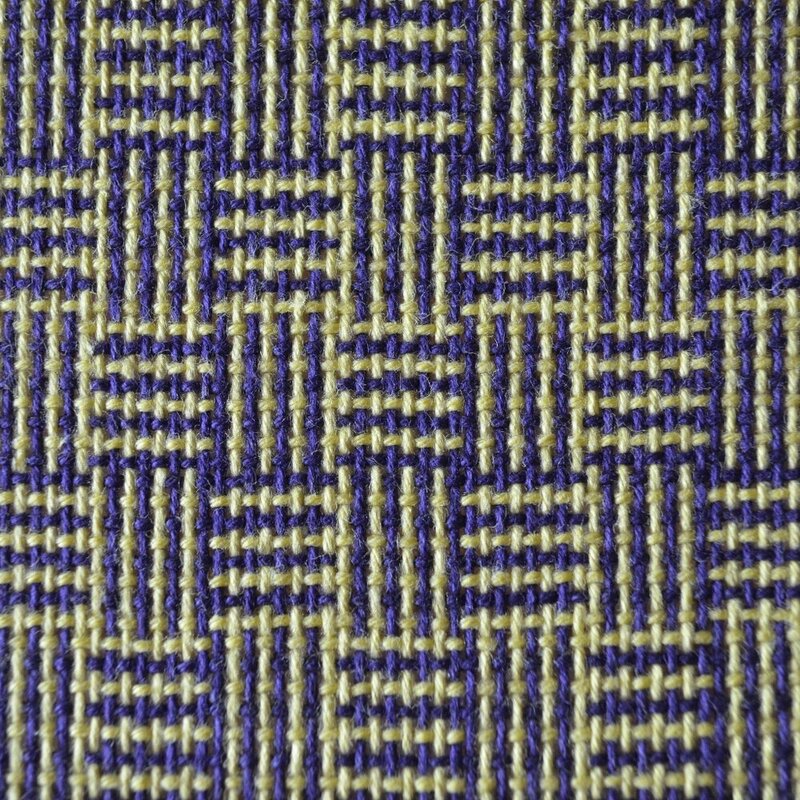 The warp color is Steel and the weft color is Aegean Blue. The final cloth feels luxurious. I'd heard tales that working with this yarn can be difficult and that the colors may bleed. Luckily, the colors were very similar and I didn't notice any bleeding. I tried to rinse it quickly under the faucet as a test and when I didn't notice bleeding, I opted for a quick soak for a wet finish.